In personal injury trials in Georgia, you may often hear the phrase “jury of my peers,” as if that is who will decide your case if it goes to trial… your “peers.” “Peers” often means one’s “equals.” But, as I often have to explain this to my clients, the truth is that a jury deciding their case will not be their “equals” in really any sense of that word. To be “equal” would necessarily imply that these jurors would have experienced the same things my clients have, have the same type education and same type job, and perhaps even have suffered a similar injury to the one being litigated. In the real world, however, nothing could be further from the truth. 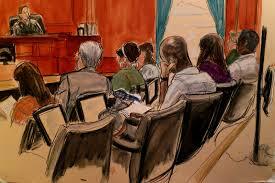 The process of striking a jury is the DEselection of a jury, not the selection of a jury. You do not get to pick jurors who you think will be favorable to your side because they know something about the incident, or they know something about the instrumentality involved or they have experienced the same injury that we are now asking them to value. Any such person, who might be considered an “equal” of the plaintiff will be either struck for cause by the trial judge or struck by the defense attorney using a peremptory strike. 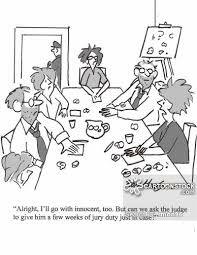 Peremptory challenge in law refers to a right in jury selection for the attorneys to reject a certain number of potential jurors without stating a reason. Other potential jurors may be challenged for cause, i.e., by giving a good reason why they might be unable to reach a fair verdict, but the challenge will be considered by the presiding judge and may be denied. So the practical truth is that only people who are completely different from the parties in the case, only people who know nothing about what is involved in the case and only the people who have never experienced anything remotely similar to what the case is about will be the one who decide your case. Does that seem odd to you? The simple truth is that this process results in a jury who, by all indications, can be fair and impartial and give both parties a level playing field on which to try the case. We really can’t ask more than that, can we?